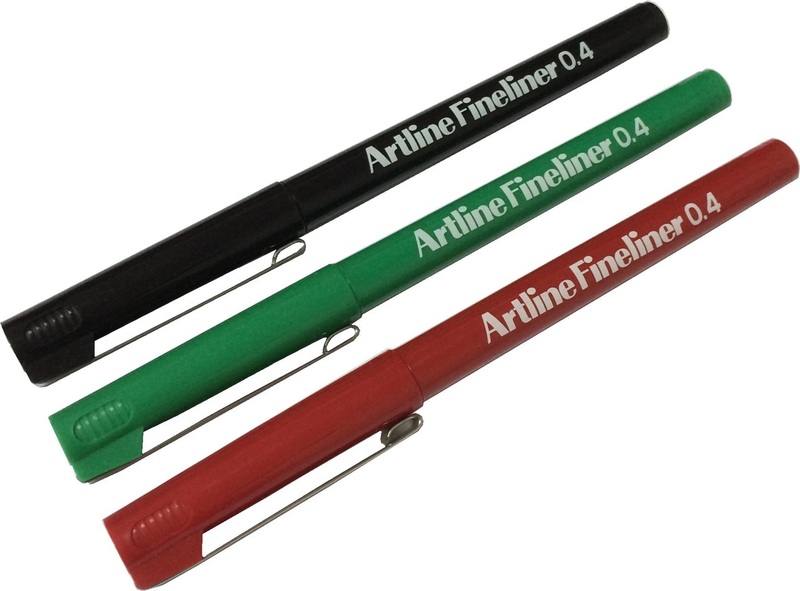 Available in black, red and green. 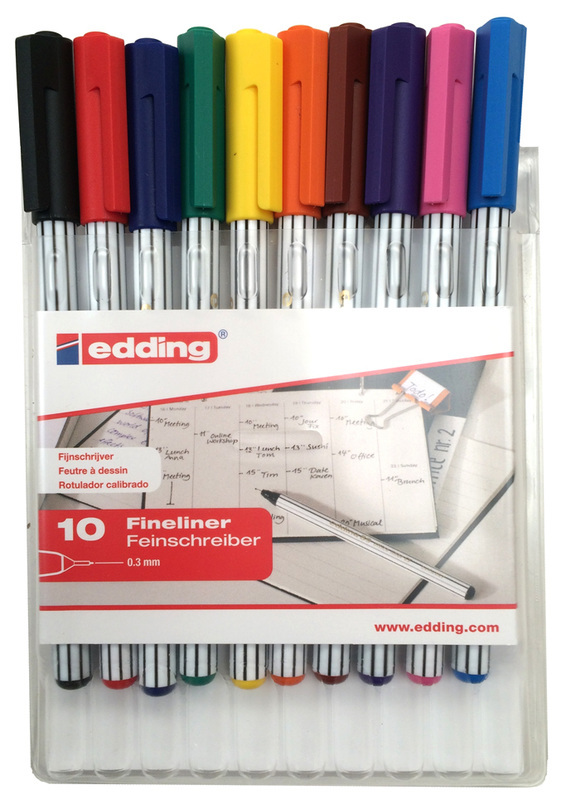 ​The Edding 89 Office Liner Pens are Fineliner writing pens with a metal-framed round tip and water-based ink that produce a fine 0.3mm line. ​Available in a set of 10 assorted colours. 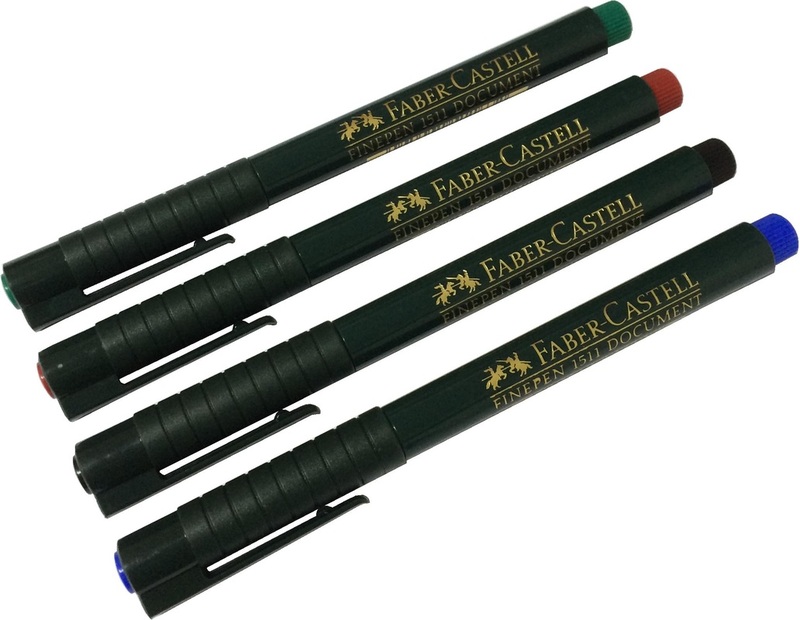 This classic office fineliner pen in traditional Faber-Castell dark green finish is perfect for all general writing and drawing in the home, office or school. 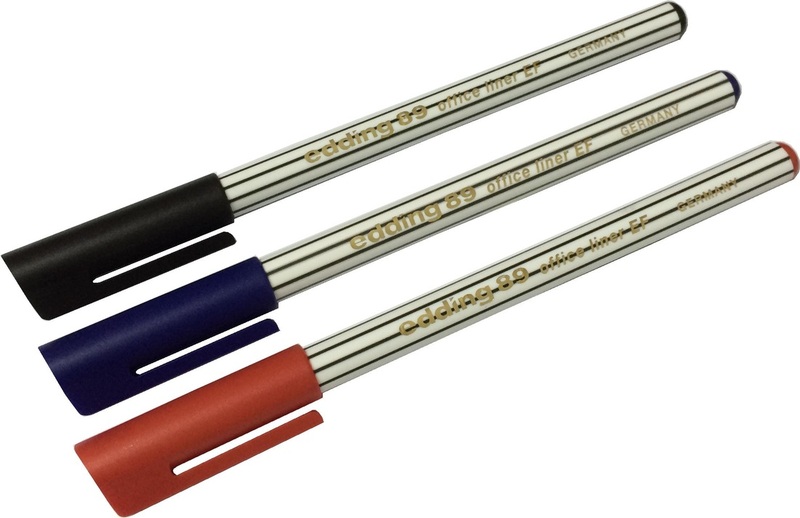 It's metal-clad plastic tip writes approximately 0.4mm lines. 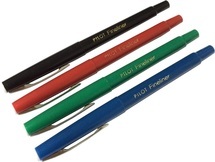 Available in red, green, blue and black. Available in black, red, green and blue.